This is an oval Pacific Fruit and Produce Co. porcelain sign. 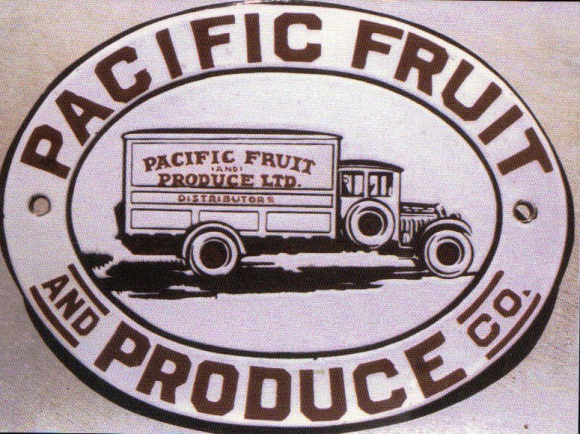 This particular Pacific Fruit and Produce Co. sign is white with black and maroon print. It reads, “Pacific Fruit and Produce Co., Pacific Fruit and Produce Ltd. Distributors” and features a delivery truck in the center of the sign.